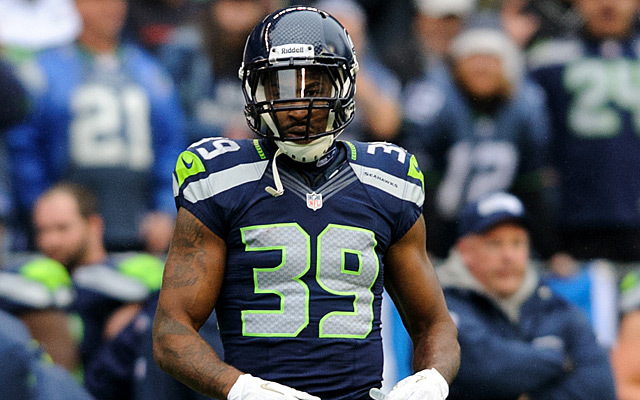 Brandon Browner has been sentenced to an eight-year prison sentence on Tuesday. TMZ reports the former Seattle Seahawks cornerback was given the sentence after he pled no contest to accusations of smothering his ex-girlfriend with a carpet. According to TMZ, Browner was trying to steal a Rolex watch and allegedly chased and dragged her with the woman’s two children present. TMZ reports Browner’s deal means he pled no contest to one count of attempted murder plus two counts of willful child endangerment, while charges of robbery, burglary, and false imprisonment were dropped. Browner’s been in custody since July and received 300 days credit for good behavior. Browner, 34, is a former member of the Seahawks incredible Legion of Boom defense. He’s appeared in 61 career games split between Seattle, New England and New Orleans – winning a Super Bowl with the Seahawks and Patriots. He last played with the Saints in 2015. After being released from Seattle in 2016, he was arrested for possession of Cocaine in 2017.